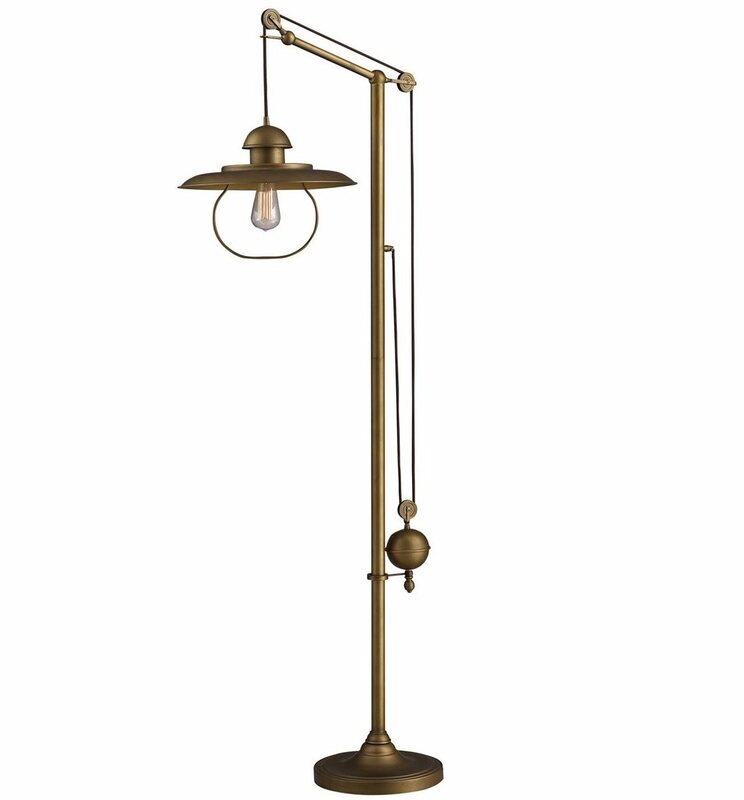 From the farmhouse collection, this adjustable lamp is finished in antique brass. Add character to your home with this beautiful lamp. Features one 100W bulb and a three way foot switch.